Olesya Ianovitch — Desire Fragrances Inc.
Olesya Ianovitch is a Marketing & Social media Guru with innovation, special spark and new approach! Art Director by professional nature. With over 15 years of Art direction, product marketing & creative design expertise with top leading global brands: Under Armour, Nike, Abercrombie & Fitch, Hearst, HBO, Saks Fifth Avenue, Sugarpova, Macy’s, Granite Gear, Osprey, Tonino Lamborghini. Olesya holds a key to a complete creativity in every project and its marketing success. With focus on social media story telling, she ignites the spark of fresh ideas with a uniquely colourful and vibrant approach to visual connection between consumers. Her footwear advertising campaigns and unique social media content creation were the turning point to increased global sales for Under Armour. During her 5 years with the company, Olesya has paved the way to the cutting edge product marketing and developed social media techniques that laid the foundation for brand’s ultimate success on the changing market. 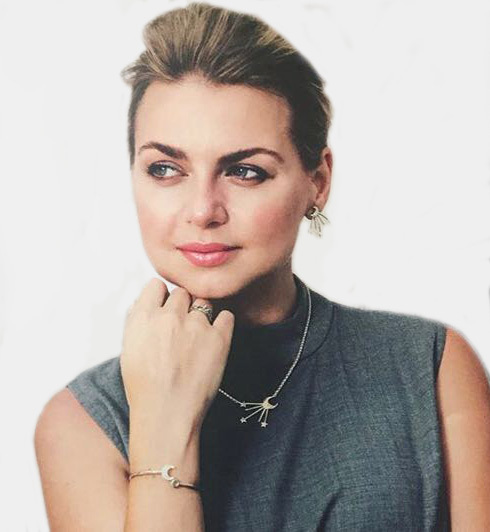 Along side her stellar and innovative marketing approach, Olesya’s PR skills have lead multiple clients to extensive media placement, national and international exposure with multiple publication around the world: Vogue, ELLE, Cosmopolitan, WWD, Esquire, Harper’s Bazaar, VIE, on a national, regional and global syndication. Olesya creates a complete all around marketing package for a brand or product from design to social media to PR, from start to finish. Specializing in product launches, Olesya holds an invaluable expertise and personal passion in this field. Olesya loves Art And Design. She has entered a contemporary art market with her paintings displayed at Art Basel, with commission projects worldwide, the recent one in Japan. She was a feature documentary artist in residence for Kaname hotel Group Kanazawa.